(CNN) Firefighters are well known for their cat-rescuing skills. 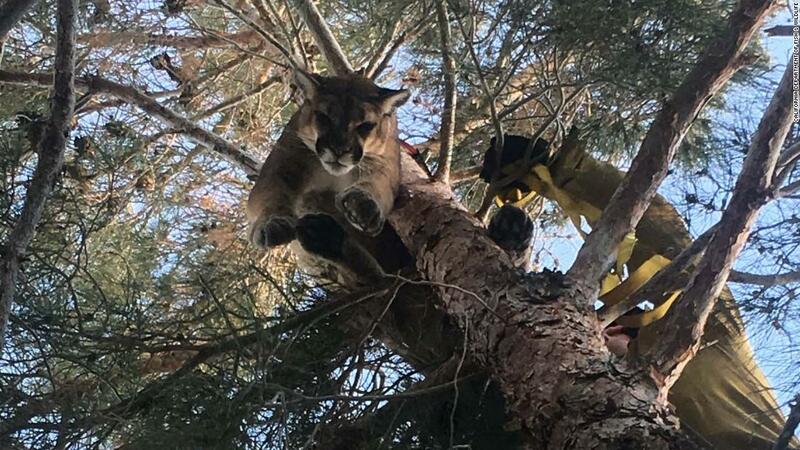 But members of San Bernardino County Fire department faced a bigger challenge than your average trapped tabby when called to a home in California on Saturday. 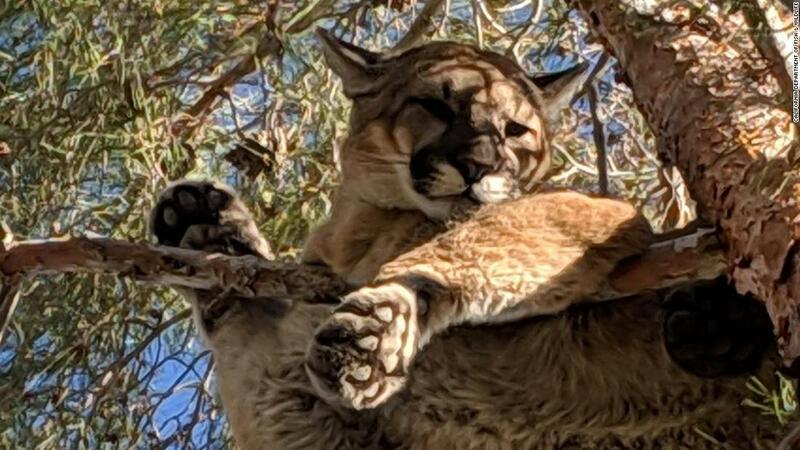 Staff from the California Department of Fish & Wildlife tranquilized the big cat before firefighters approached it using a ladder, the fire department said in a Facebook post. While cougar attacks on humans are rare, the animal presented a danger to residents, warden Rick Fischer said. Earlier this month, a runner in Colorado strangled a mountain lion with his bare hands after it attacked him. 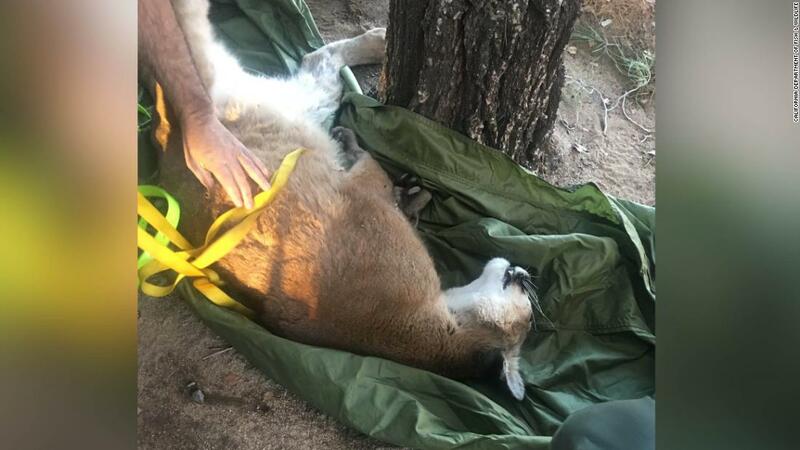 Fewer than 20 people have been killed in North America by mountain lions in more than 100 years, officials said after that incident. I’m going to assume he has Satellite television?